As functional as they are stylish, a simple pair of sunglasses has the potential to amplify any look, lending an effortlessly cool accompaniment to clothing. Paired with a well-tailored cotton blazer or a casual pair of jeans and white t-shirt, a great pair of sunglasses never goes unnoticed. That said, it can be challenging to choose pairs that are both current and complementary to your features. So, we thought we’d lend you a hand. 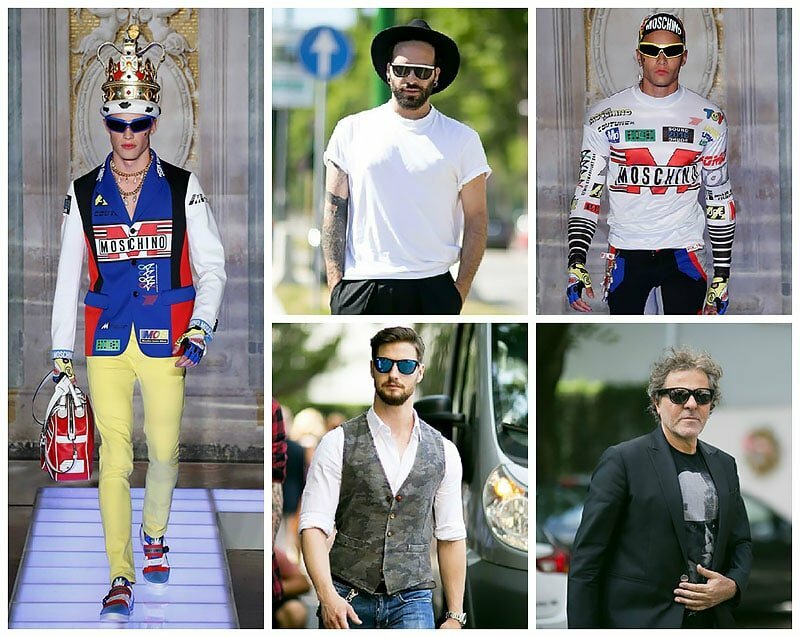 Here is our roundup of the best men’s sunglasses styles for right now. 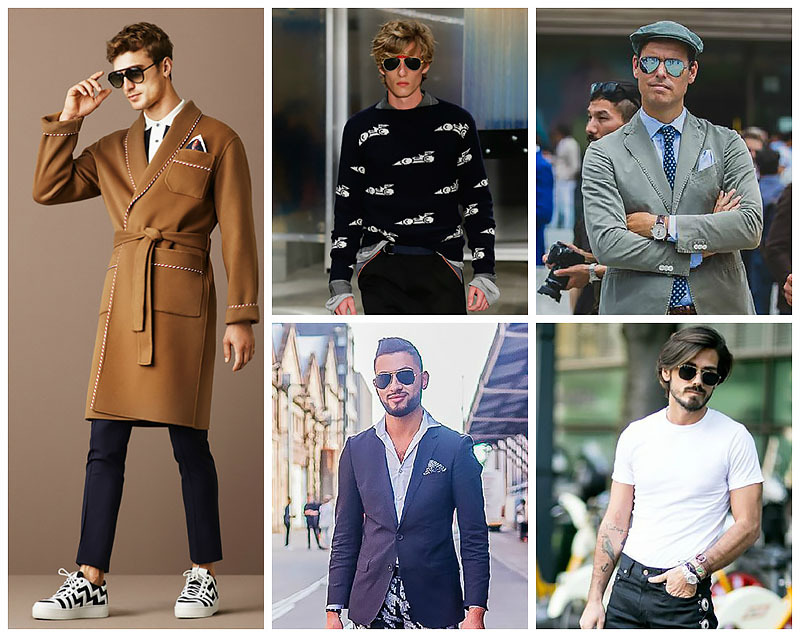 Perhaps one of the most identifiable sunglasses shapes is the aviator; it is timeless and reminiscent of its old-school popularisation in the forties and fifties. 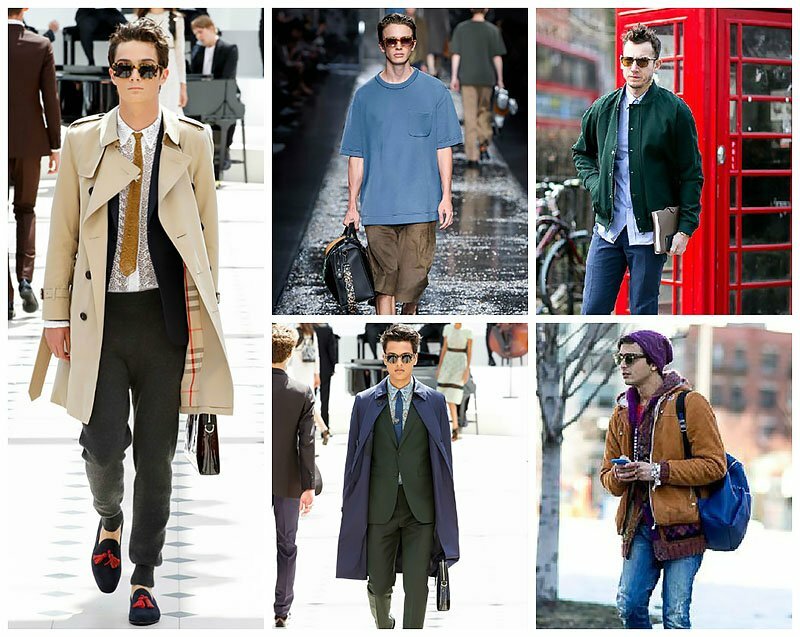 Featured heavily in Bally’s recent Spring 2016 collection, this trend is unlikely to perish. With thin metal arms, these shades complement squarish and oval face shapes, given their large frame’s wider proportions. Paired with a leather biker jacket or a simple t-shirt and jeans combo, the aviator is the ultimate in emulating carefree, understated style. Switch things up with a variation of colours, like strong metallic oranges or deep cobalt blues. 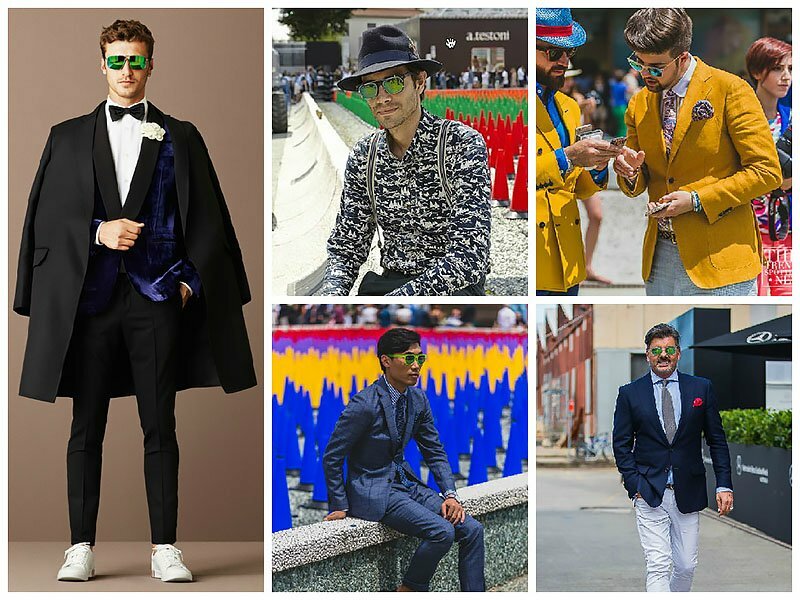 Modern, fresh and very edgy, recent Spring 2016 collections like Bally reaffirmed the recurring trend in street style for sunglasses; bright green reflective lenses. Bright green-lensed sunglasses are the perfect accompaniment to crisp whites, blacks and work remarkably well with graphic prints. Duskier greens flatter darker features while lighter greens register well with blondes. For an injection of colour, look no further than the metallic glare of bright green shades, however, be mindful of your other accessory colours when attempting the trend; keep things subtle and aligned. The transparent lenses trend is the modern take on a seventies aesthetic. Particularly appealing in burnt peaches and filmy blues, this sunglasses trend can easily be incorporated in a range of casual looks, provided the hues of your clothing are within the same colour family a la Bottega Veneta Spring 2016. Be mindful of your skin tone and features when nominating a see-through hue for your shades and try on different pairs for a better indication for how it will register with your face shape and features, given they come in a range of shapes and styles. Perhaps one of the most beloved street style staples, the round sunglasses trend is the modern answer to its twenties’ predecessors. 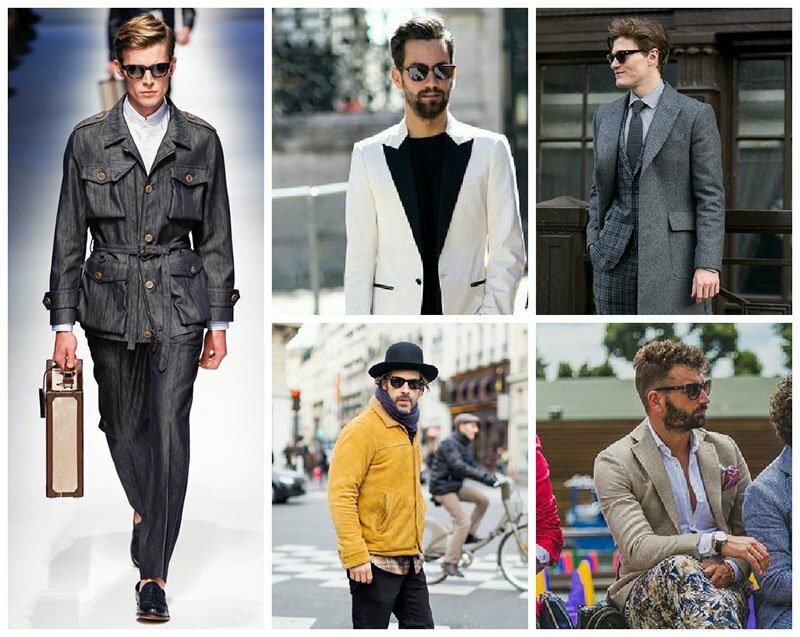 Amazingly suited to formal wear and tailored blazers, round sunglasses are a nostalgic wink to older decades’ conceptions of its shape. Round sunglasses are best suited to those with oval, oblong or square shaped faces; they can be problematic on a round face as they mimic its proportion. Keep things contemporary with the various modern colours like fluorescent red as featured in the Moschino Spring 2015 collection. A playful reference to Lego, geometric sunglasses boasts angular rectangle shapes and defined lines/corners. Complimentary on most face shapes, the comic allusions of this 2015 sunglasses trend are relatively versatile with casual looks. Be mindful that these sunglasses may not register well with squarish face shapes, as they exaggerate stronger jawbones. Take cues from the recent Prada and Louis Vuitton Spring collections and coordinate geometric pairs with brightly patterned sweaters and coordinating darker pants. The wayfarer is an iconic favourite and beloved sunglasses staple; its squarish shape is evocative of its fifties heritage. 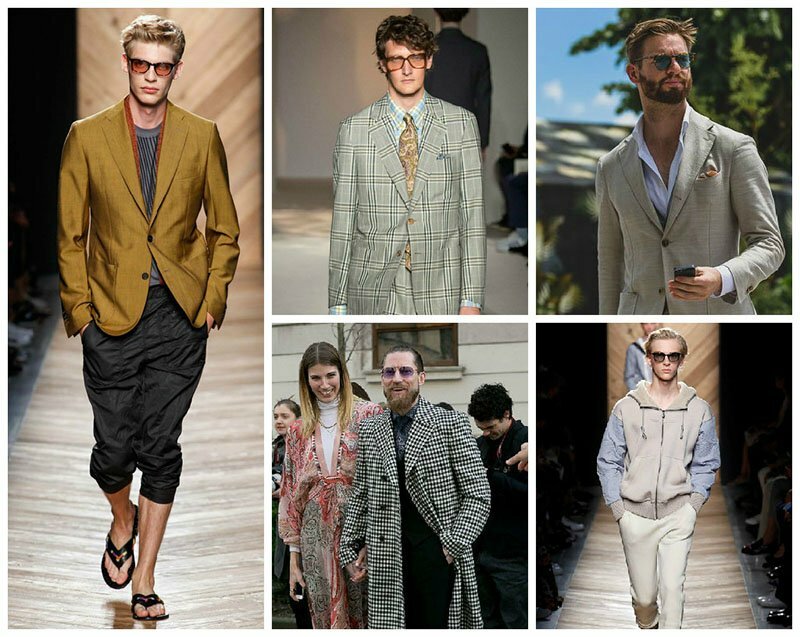 Canali cemented its stay in 2015 with its playful combination with grey tailoring. The wayfarer works well with most face shapes, and in particular, can create a more elongated, angular definition for those with roundish faces. You can never go wrong with a quintessential black pair. While tortoise shell sunglasses have been featured in the recent Burberry and Fendi collections, its humble beginnings as a traditional favourite are evidence of its classic undertones. 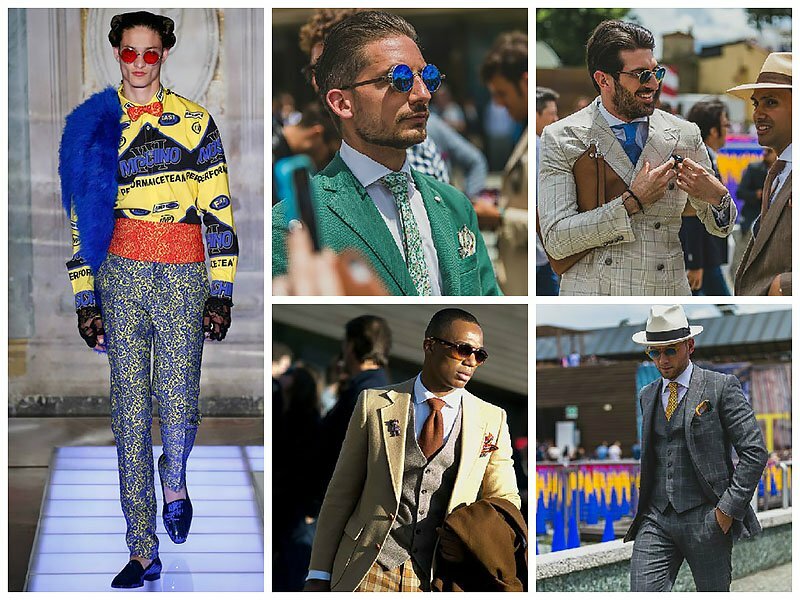 As usual, be mindful of your face shape when choosing the right frame for you and always consider the colouring of your clothing when styling the classic favourite. Incredibly friendly with navies, neutrals and whites, the brownish hue of the beloved tortoise sunglasses works best with traditional silhouettes. Maintain a contemporary edge with the newer rounder shapes of this trend. 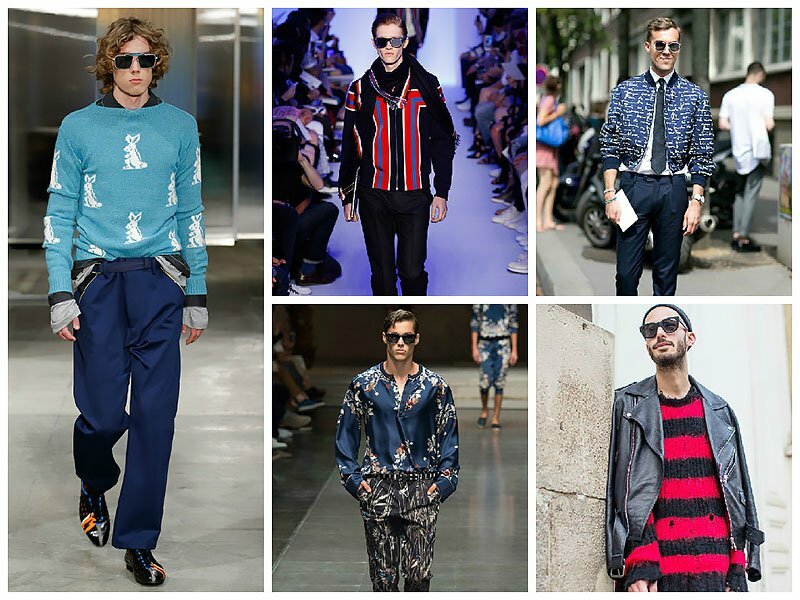 Forget the ski slopes of Aspen; futuristic sunglasses are currently being incorporated into urban street wear. Featuring a wrap-esque, sporty shape that comes in a multitude of various colours, this 2015 trend was featured heavily in the latest collection from Moschino. With a heavier proportion on the top of its frame, this style suits round faces remarkably. 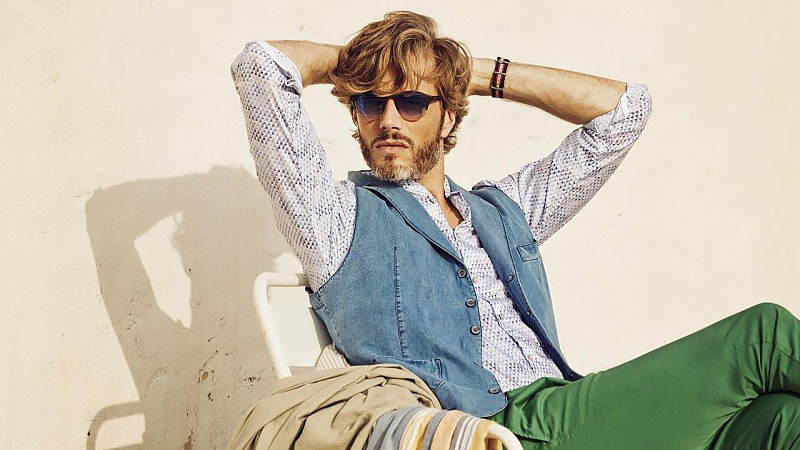 Do not be afraid to incorporate the trend in a casual sense, though be wary of pairing this style with formal wear, given its sporting heritage.